Our children are young, so we expect them to be irresponsible, to need our advice and supervision. We don’t expect them to be able to independently plan to meet their goals, do their homework, safely cross the road or to take on complex tasks while still very young. Why not? What is it about childhood that prevents them from these responsible behaviours? It’s all about brain development, of course. Tasks that require wise decision making, organising, planning, managing time, thinking before you act and avoiding impulsivity are part of the functions of the front part of the brain – called the prefrontal cortex. This happens to be the very last part of the brain to develop completely – at around age 25 years. This is why adolescence can be a difficult and dangerous age. Young people have so much knowledge, skills and ability yet don’t have the brain development needed to always supervise their own actions in a wise, responsible way. We call the functions performed by this part of the brain Executive Functions. The prefrontal cortex is literally the boss of the brain. Most children gradually develop this brain area but some may be slower in some areas than others. They may struggle with completing tasks, remembering what homework has been set, being able to stay on task, recalling important detail, and controlling strong emotions. All of us tend to develop unevenly – with some aspects streaking ahead but others lagging behind. This is normal and not necessarily a sign of a serious problem. It is also normal for such a child to need support while waiting for a very natural progression of brain development. There are ways to help. Leaving such children alone may prevent them from reaching their potential and labelling slower development negatively may impair the very development they need. Supporting them in positive ways can help them over obstacles. A useful website to visit for clear explanation of executive functions, help that works and ways that could worsen the situation is written by Seth Perler. 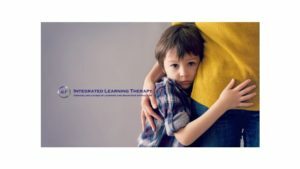 The website (Google Seth Perler.com) is available and contains a wealth of information about Executive Functioning and helping to coach children through challenges. You might find the information valuable. There is a lot in the news about greenhouse gases and their effect on climate change. There is also a lot written about the the appalling air pollution in Asia, which is the reason for many Asian’s habit of wearing face masks in an attempt to protect themselves. But what is the position in South Africa – and why should we be concerned for our children? Young children are particularly vulnerable to air quality because they are smaller than adults. With every breath, they take in more air per unit of adult weight than adults. This means that if air contains toxins, they will be breathing in proportionately more toxic air than adults do. This is why air pollution is associated with childhood diseases such as pneumonia, asthma, bronchitis and other respiratory conditions. These can be debilitating, resulting in children missing school and possibly causing long-lasting damage to their health and well-being. But there are also implications for children’s developing brains. We are told that the first 1 000 days of life are crucial to a child’s future. This is the period when the brain undergoes the most critical and rapid growth – and the neurons (brain cells) and neural connections formed during this stage of brain development provide the foundation for all future, healthy brain structure and function. In other words, this period is crucial for children’s ability to later learn and fulfill their potential in life. Air pollution can affect children’s brains by several mechanisms. Firstly, certain pollutants can break down the blood-brain barrier, which is a delicate membrane protecting the brain from toxic substances. Once this barrier is breached, toxins may enter and damage the brain. Secondly, very tiny air pollution particles can enter the body through the olfactory nerve and the gut. One of these is Magnetite, which is common in urban outdoor pollution and is highly toxic to the brain. Thirdly, some forms of pollutants formed from fossil fuel combustion can contribute to damage of brain cells that are needed to help neurons communicate throughout the brain. These connections are vital for learning. In 2016, the South African authorities that track air pollution updated the regions of our country that have the most polluted air. Not surprising, densely populated cities are on this list but other smaller areas also make the list due to mining operations in their proximity. You might be surprised that the area in the top spot is Hartebeespoort. The reason for this is its location. It is close to both Johannesburg and Pretoria, as well as several mining operations. Overall, (according to the latest report) it ranks 162nd as the most air-polluted area in the world. So, what to do if you live in one of these areas? There are some things that you can try, which is what I’ll write about in the next post. All children, and adults, go through periods of difficulties. Children’s development occurs in stages and sometimes they may show unusual behaviour that may simply be a sign that they are ‘going through’ a growth stage. So when do you sit up, take notice and realise that your child may be in need of help? Obviously families have periods of crises and stress, so if this is the cause of a child’s learning difficulties, you’ll probably be able to put two and two together and determine how best to help. But how do you know when the trouble is probably school-based? The first step will obviously be a meeting with the teacher. Be sure to discuss what happens on the playground as well as what is observed in the classroom. Sometimes interactions in the peer group or even bullying might be a problem. Find out what the teacher has done to help the child in the classroom, but if the problem persists, you might have to look further for help. 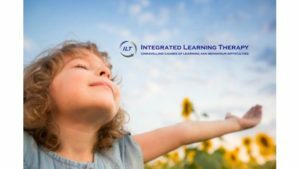 One source of help is from Integrated Learning Therapy (ILT) practitioners. We follow an holistic approach, looking carefully for underlying causes of learning difficulties and puzzling behaviours. Often the problem is based in the child’s neurodevelopment, meaning that his or her brain is underdeveloped and needs ‘catch-up’ time to mature in all areas. Sometimes the problem can be caused by environmental offenders (think nutrition, allergies and the like) that need to be addressed. 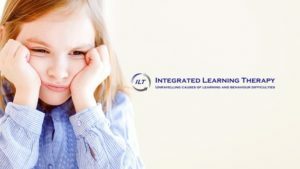 To learn more about our approach, visit our website at www.ilt.co.za. You’ll also find a list of practitioners near you to help as well as courses you can take to further your understanding of how children’s brains develop and what might go wrong. As a result, you’ll be in a better position to help. After all, parents are the first source of help for all children! Remember to Like and Share our Facebook page to receive more articles. My child can’t handle change – Why? When browsing through my library recently, I opened one of the older books on the shelf. Very soon, I was reading with delight some words of wisdom that are as relevant today as they were back in the middle of the last century! I’m talking about the book published by the Gesell Institute, titled Child Behaviour and written by Frances Ilg and Louise Ames, with numerous reprints, in the 19550’s (yes, no typo – it really was written so long ago). The section I enjoyed dealt with the still common problem experienced by many children today who find it difficult to make shifts. This means that they cannot move easily from one thing to another, or from one behaviour, activity or situation to another. Without help, they simply become stuck. We all have unique personalities and they may present us with certain problems. Indeed, most people have aspects of personality that they find problematic. A struggle to adapt easily to change is one of these. It isn’t because the child is bad, naughty or difficult. It isn’t a ‘fault’ in the child but simply an aspect of personality. She may be perfectly normal in all respects except for her inability to handle change. Such children may resist new foods and prefer eating the same thing for every meal. They may find it hard to go to sleep at night, then (after sleeping well) find it difficult to shift back to wakefulness. When playing, they may be able to entertain themselves well for hours but resist shifting from one form of play to another. For example, he may continue to play with lego because he will find it too hard to shift to another toy. Typically, parents of such children find it hard to encourage them to leave their play to come to supper, visit a relative, go shopping, or anything else. In relationships with others, this personality trait may cause such children to be fine with one person at a time, but find it hard to shift from one person to another. For example, from mother to nursery school teacher. They will find it hard to leave a parent when it is time for school – and then find it hard to leave school to go home with the parent. How do we help such children? Certainly we can’t scold or punish them when they resist change. They truly need help from their parents whenever there is a transition to be made. Sometimes it helps to provide the changes which she needs and can’t manage herself. An example would be to have the child go find her mother in the playground rather than being met in the classroom, or having a new pair of pyjamas to put on in order to break the bedtime ritual that has become such a struggle. Of course, some children show reluctance to change in very particular situations and something else may be found to underlie their behaviour. There are many possible reasons for what can be seen as Separation Anxiety, or fear of change due to a traumatic event. What is discussed here is different – we’re describing children who are born with this aspect of personality. If a child has a personality that resists change in general then it is likely that she will keep that personality trait throughout her life. Accept that there is nothing you have done to cause this, and nothing you can do to change it. You can help her understand herself and provide the kind of situation that makes her feel most comfortable and able to cope with change. But don’t try to change her or make her feel guilty. Individuality is inborn. 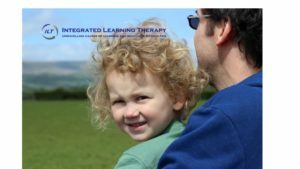 Integrated Learning Therapy (ILT) is forever searching for ways of helping children cope better with problems associated with development, neurodevelopment and learning. 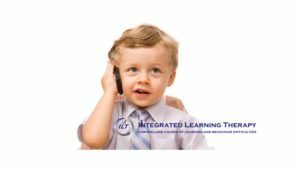 Visit our website www.ilt.co.za to learn more about our approach and find practitioners near you to offer help. We also offer courses to parents, teachers and other helping professionals to better understand the reasons underlying children’s learning difficulties and puzzling behaviours. The courses are accredited with SACE, ETDP-SETA and HPCSA. You are welcome to write to us at info@ilt.co.za. Remember to like and share our Facebook page to receive more articles like this.